When you have a broken pipe, overflowing toilet, bathtub, washing machine or water heater, water can accumulate fast and cause long-term, unseen damage. When seconds count, you need a water extraction company that can move quickly and has the resources to effectively contain your loss fast before further damage results. More than just removing excess water, Doctor Steamer has the knowledge and equipment to further dry a home or facility (including substructure materials) completely back to pre-loss conditions. . To meet these critical demands, DOCTOR STEAMER, LLC has partnered with the leading water damage and restoration company in Phoenix. In a coordinated effort our teams specialize in providing rapid emergency water removal services that you can depend on. From our immediate response guarantee to our service satisfaction guarantee, we are the right choice for all of your water mitigation needs! 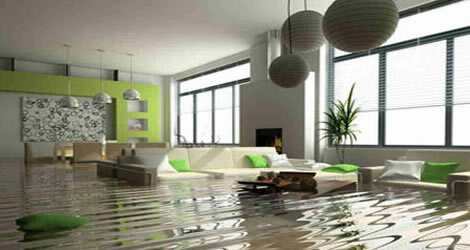 Water damage can be deceptive. Water penetrates into structural cavities creating trapped pockets of saturation. The detection of water in these areas can often only be discovered with sophisticated moisture detection meters. Undetected moisture will continue to cause damage. This damage, at a minimum, will cause odors. Greater damage will surface when materials delaminate, shrink, split and further deteriorate to where costly repairs are required. Shut off the water at its source. If you can’t locate the source, shut off the main water supply. Call us immediately so we can mobilize a team to your home. We will call your insurance company to notify them of the damage and to obtain any necessary approvals to begin mitigation. Shut off all of the electricity at the main breaker box. If possible, remove all personal items, furniture, area rugs, etc from the affected area. Lift drapes off the floor, loop through coat hanger, and hang from curtain rod. For minor water accumulations, begin removing water with bath towels until our crew arrives (do not leave wet colored towels on the carpet as they may bleed).